Here is the novelization of the premiere episode of Star Trek, Voyager, the unprecedented fourth television series based on Gene Roddenberry's vision of the future. It is the story of the crew of the Starship Voyager, who are hurled far across the galaxy and must team up with their most dangerous adversaries to return home. Theirs is the voyage of a lifetime, taking them into uncharted space, where no one has gone before. loved it great book need more Star Trek Voyager books Robert picardo great narrator fantastic actor. The narrator did wonderful job. With different modulations and tones, it never felt that we are listening to one person. although I have watched the episode earlier, the scenes became live in my eyes while I listen to it. 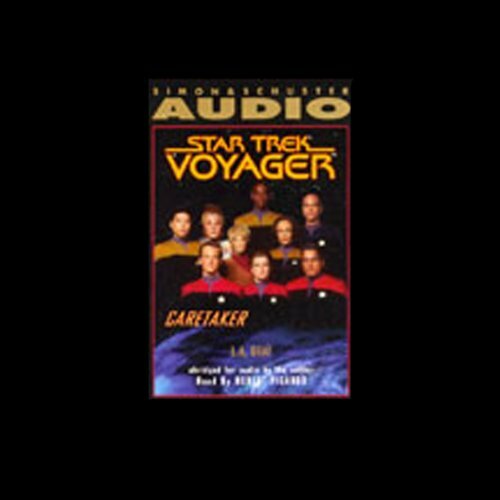 Would you consider the audio edition of Star Trek, Voyager: Caretaker (Adapted) to be better than the print version? I haven't read the printed version but I aim in doing so. Robert Picardo's narration was excellent as he guided the story along. Having seen the televised episode I could clearly 'see' where the characters were in the story and what they were doing. Robert Picardo played the other characters well as well as the computer voice. I could follow the story with ease with Robert Picardo's narration. What about Robert Picardo’s performance did you like? It was clear,succinct expressive and easy to follow. Robert Picardo was clearly keen to do this narration. I felt joy at the characters surviving and amassing their traditional crew with new characters coming in at intervals. I felt a pang of sympathy for Voyager's crew as they're 70,000 light years from Earth and have a heck of a journey home. This version was adapted from the original screenplay and bits of the original were cut out but it proved to be a very satisfactory audiobook with Robert Picardo narrating.